STUDENTS! Come have a blast during AirVenture. Register now for your seat in a class (or two, or three, or four) in the STEM Lab. Fly the Redbird Jay Velocity simulator during EAA AirVenture Oshkosh and learn STEM! 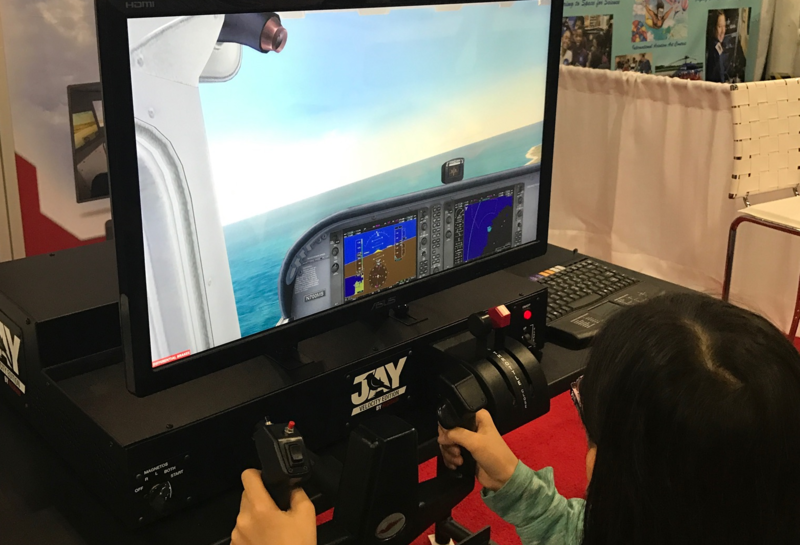 We are integrating science, technology, engineering, and mathematics into aviation themed classes while incorporating flight simulators into the lessons. The Redbird STEM Lab will highlight how impactful, hands-on training makes for a fun learning environment. The Redbird STEM Lab will be located in the Redbird tent, exhibit space 304, and "class" will be in session Monday, July 24 through Saturday, July 29 from 9:00 am – 3:00 pm for 5th graders and up. Classes are free to all AirVenture attendees and students will receive a Redbird give-a-way. Students should register for classes that fit your AirVenture schedule and we will keep you informed of updates as we get closer to the event. Come and learn as often as you'd like! Are you a teacher and want to learn? We’d love to have you! We will have seating for you to audit the classes and it will also be streamed online. Please register by signing up for the Teacher Registration - Audit Class/Online Broadcast slot and select “Teacher” in the grade level drop down box. We'll send you additional details about access to online streaming in July. Navigation – How Far? How Fast? How Long?